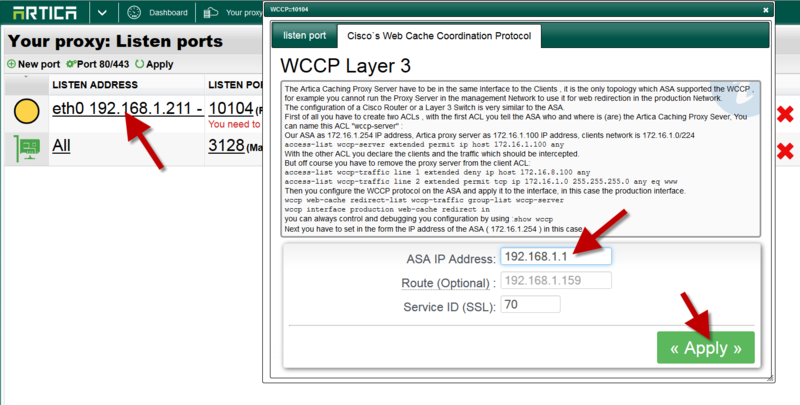 Making Proxy communicate with Cisco routers and accept WCCP intercepted HTTP traffic from them. Note: This shouldn’t be required, because the asa would build this rule itself, when adding the proxy box. … while capturing the local /24 network defined by “workstations”. You must use Artica version 2.09.061800 or later. Enable the WCCP Layer 3 option. 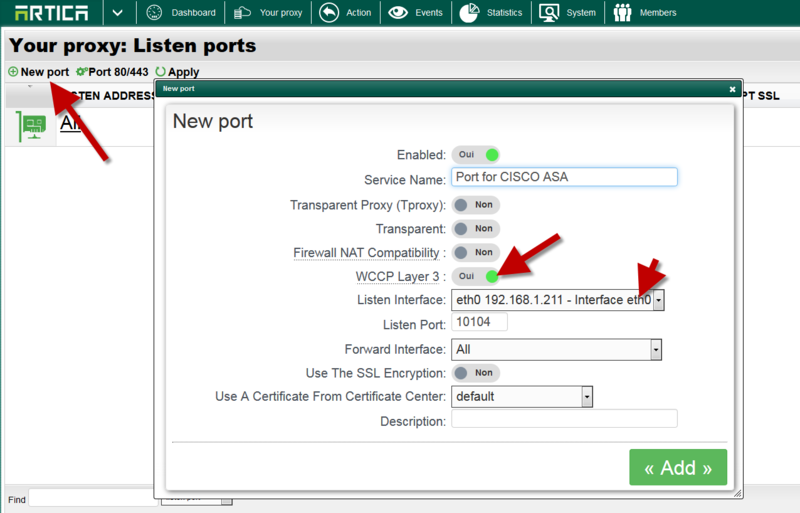 Select the main network interface that will handle the GRE tunnel. Select your new port on the main table. 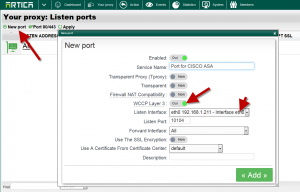 If you need to use a specific gateway to access to the ASA, define the gateway in the route field.